What exciting times we live in! We get to be a part of a new brand entering our market and a large group of journalists were invited to experience a variety of products that they currently make. But first, an explanation. MG Motor is a British brand, with Chinese parentage. It's owned by SAIC Motor Corporation, China's largest automobile manufacturer, with combined sales of about seven million vehicles last year. SAIC is growing so fast, we've been told that they plan to add a new plant in China to cope with demand. 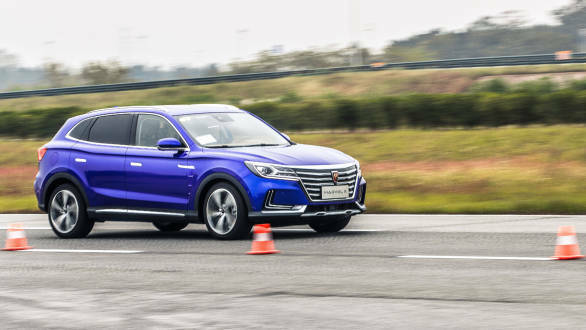 Like we've established earlier, we believe MG Motor's first launch in 2019 will be an SUV and will be based on the Baojun 530. It will be almost as large as the Skoda Kodiaq  with a 7-seat version planned! 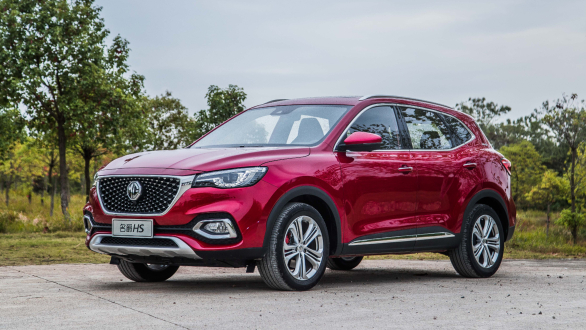 We've been told it will get a petrol and diesel engine option, though we didn't get to see or drive it, considering MG Motor wants to redesign it according to their DNA. We were given a chance to sample what kind of cars SAIC and consequently, MG Motor, is capable of producing. 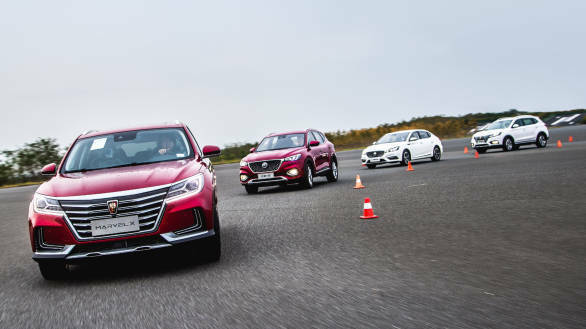 Thus, we found ourselves at China's largest vehicle testing centre, the SAIC-GM proving grounds at Guangde in Anhui province, on a chilly October morning. At our disposal were four vehicles  none of which would be coming to India! Of them  three were SUVs (two pure EVs, one IC-engined) and the fourth, a hybrid sedan. 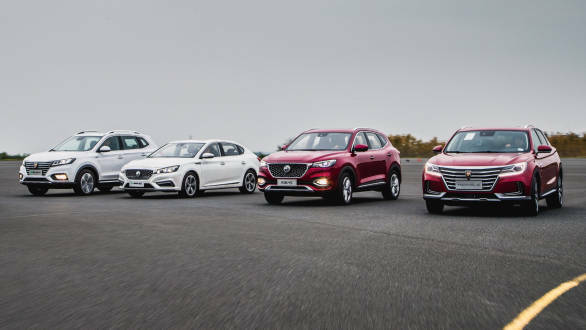 The line-up included the Roewe eRX5, the Roewe Marvel X, the MG HS and the eMG-6. We've been told that any product from SAIC's portfolio can be the base for creating a made-for-India package and that the DNA of MG Motor will be incorporated in it before it comes to India. The HS is brand-new for MG, and gives a great idea of what to expect in terms of styling of future MG products. A large chrome framed grille, with an inset diamond-studded pattern (called the MG Star Rider grille!) leads the face. A throwback to previous-gen MGs (like the MG3/6 sold internationally) is seen in the semi-circle headlight elements. If there's one thing we'd like to see carried over to the India-bound car, it's these absolutely beautiful, simplistic interiors. Well, two actually - the powertrain is also quite good. The HS drives well, with the 2-litre petrol proving strong and smooth, the in-house six-speed DCT intuitive, and the dynamics well-sorted. 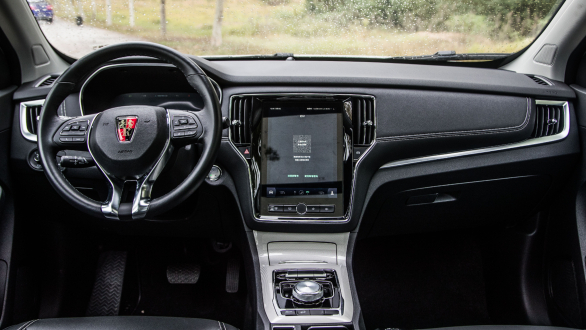 Similarly, well-sorted is the hybrid eMG6 sedan - a great handler, with direct steering and well-controlled body movements owing to its near neutral weight balance. The powertrain offered just a hint of lag, but more than made up for it with a great, big mountain of torque. The large 12-inch all-digital instrumentation (like Audi's virtual cockpit display) is something we'd hope to see on the first Indian MG, since it really elevates the driving experience. Unfortunately, we don't see the scope for a hybrid given the government's stance on them. 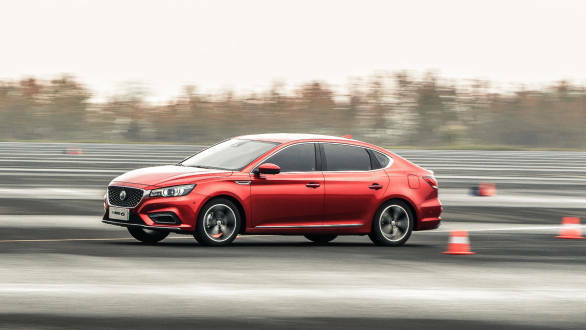 On the other hand, MG has confirmed its second product for India in 2020 will be a pure EV. Perhaps like the Roewe eRX5 here. It's a handsome, well-proportioned SUV with well-crafted interiors. We didn't get to drive this one too much, but we did get a longer taste of another pure EV. 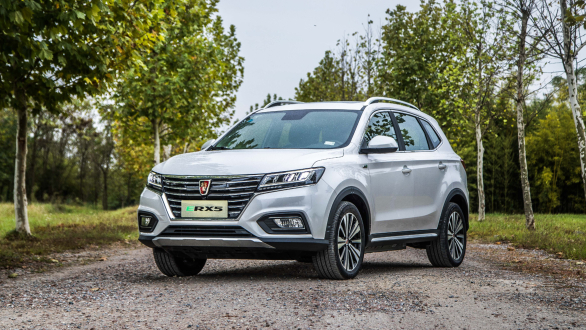 The second model competing for speculation on MG Motor's second launch, is the stunning Roewe Marvel X. 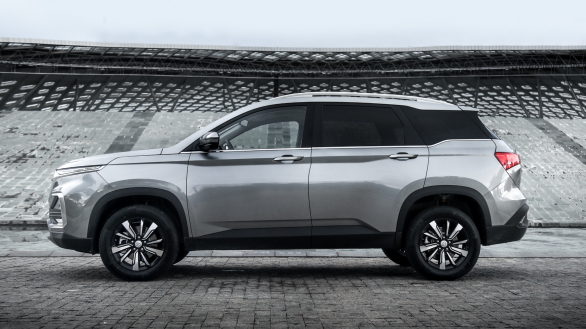 While the name doesn't leave much room as to what it's been inspired by, the styling is quite conventional for an SUV that runs purely on electricity. The clincher is the layout of the cabin - which has elements of some of the best cabins in the industry, but it all comes together with stunning effect. Stiff ride quality is otherwise complemented by a responsive powertrain and eager handling. 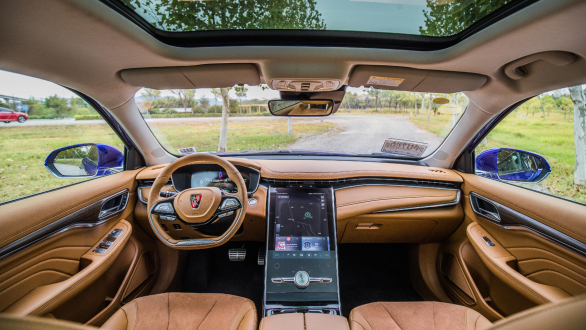 The overall feeling we've come away with is of surprisingly plush and premium feeling cars, bursting at the seams of their plush leather interiors with technology! Not to mention that they all felt exceedingly well put together  the complete opposite from the preconceived notions we all not-so-secretly harbor about China-made vehicles. Checking the prices of these cars in their home market reveals competitive pricing, well below anything from the premium end of the segment, leave alone the mid-segment of the electric vehicle market. These are cars that can compete favourably with the Hyundais, Hondas and Fords of the world. If this was any indication of what we can expect from MG Motor, the future looks bright indeed.